If your iPhone X has a cracked glass this is the repair you will need. Includes parts, labor, and 90 day warranty. Is your iPhone X not charging, connecting to your computer or only working intermittently? Fixed in just 30 minutes. iPhone X not holding a charge for very long? Battery dying too quickly? We've got you covered. Have it fixed in about 10 minutes. iPhone X power button stop clicking? We've got you covered. Stop by and have it fixed today. iPhone X Volume buttons not working? We've got you covered. Stop by and have it fixed today. iPhone X back camera having issues or not showing a image? Same day repair. iPhone X front camera blurry, not focusing or just stop working all together? Same day repair. 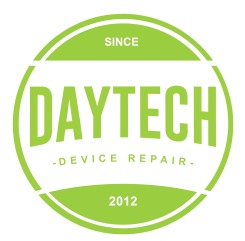 We repair cracked screens on the iPhone X. Professional repair services for Paulding, Cobb, Kennesaw, West Cobb, Cartersville, Dallas, Douglasville, Villa Rica, Rockmart, Hiram, Acworth, Marietta, and Powder Springs area for iPhone X cracked screen repair and replacement. Cell phone repair in Hiram and Acworth. Our new location is on Cedar Crest.